Last week, I mentioned that as part of the blog’s relaunch to Transit 509, I was going to discontinue my coverage of transit in Tampa Bay. I also mentioned that I would be continuing that coverage on another transit blog as a guest contributor. Officially announced last Friday in this post, I have joined Tampa transit blogger Hartride 2012 as a guest author on Public Transit As Told By Hartride 2012. 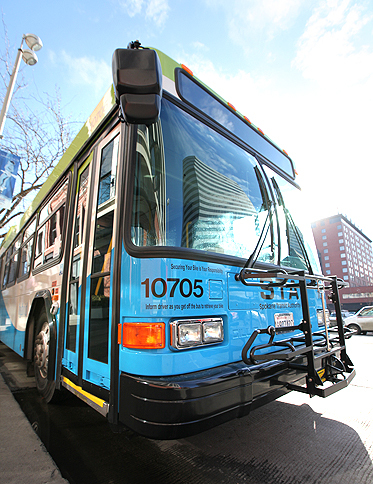 Yesterday my first post, covering the SouthShore Transit Circulator Study, was published. As I mentioned in my introduction piece, I will be covering some new topics on transit in Tampa Bay along with supplemental coverage on current transit news in the area. All my past posts on Tampa Bay transit will remain online here at Transit 509, but they will continue to be cited as needed in my future posts. Again, I want to thank all of you who continue to follow Transit 509, but I also encourage everyone to follow Public Transit As Told By Hartride 2012 if you haven’t already! With a new name, I’ll also be introducing a couple new blog series. Later today, I’ll be posting the first installment of the News Roundup series. Instead of having an entire blog post for each little story that comes out from a transit agency, the news roundup will feature multiple blurbs covering news/updates from multiple agencies. New posts in the News Roundup series will always be on Mondays, generally on a biweekly basis with new posts on the 1st and 3rd Monday of every month (though there will not be a post on the 3rd Monday if there’s no news/updates to report on). Next Thursday, I’ll introduce the new Transit Throwback series, which will coincide with the popular “#throwbackthursday” and “#transitthursday” hashtags on Twitter. Some posts will feature an old newspaper article, an old system map, an old transit vehicle, or something similar. Again, this will be a biweekly series, with new posts being uploaded on the 2nd and 4th Thursday of every month. In between all that, I’ll still be continuing with my usual posts in the Epic Transit Journey and Transit Tourism series, as well as general posts about reroutes, proposals, and so on. 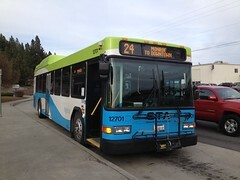 To help fulfill the new tag line for the blog, “The Eastern Washington Transit Resource,” I’ll also be working on adding bus schedules/phone numbers/etc for people who search for that information online and get led here. You’ll notice some new page links above the site header (where the About/Contact page sits alone right now), but it won’t change much about the blog overall. With all that, I want to thank all my readers for your continued support, and I hope that you enjoy the newly relaunched Transit 509! PS: Normally at the end of most of my blog posts, I welcome my readers to send me a tweet to @ziggzagzac with thoughts/comments. However, I’ve also updated my name there, and will now be tweeting under the handle @transit509. Just a heads up to all visitors: The blog will be undergoing some work over the course of this weekend. I’ll try my best to keep everything up and running, but some links may be temporarily broken and/or missing at times. As always, feel free to send me a tweet to @ziggzagzac. Be sure to check back on Monday for a big announcement. 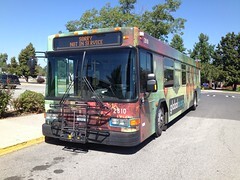 At the end of my last post, 85 Hours On The Bus (Part 2), I ended the story with my arrival in Spokane. What I didn’t mention then is that I’m actually living in Spokane now. Some of you may recall how I moved to Tampa just several months ago. For the sake of keeping the story simple, let’s just say that I was ready for a change of scenery. (Someday, I’ll cover the story a little more in depth on my other blog.) Suffice to say, Tampa and Spokane are two very different cities, especially when it comes to the weather. Even though winter is fast approaching, I think it’s safe to say that I’m going to enjoy it in Spokane. 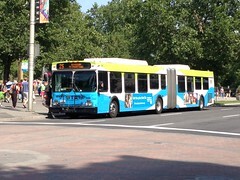 With a new city comes a new transit agency to talk about: Spokane Transit Authority. Perhaps best known for their astounding system map, I’ve been rather impressed by the agency so far. That’s not to say that they don’t have any shortcomings. Just like any other agency out there, they have weaknesses and flaws in the design of the system, which I will cover in future posts about STA. Even though a lot of my posts will be covering STA now, I’ll still have posts from time to time on Ben Franklin Transit (Tri-Cities WA) and Hillsborough Area Regional Transit Authority (Tampa FL). In the case of the latter, I know there’ll be plenty to talk about in the coming months. Sadly, I was the only one to ever blog about BFT, which is why I want to make sure I still write about them, but updates on HART can still be found on fellow blogs “Yo Bus Driver!” and Tampa Bay Transit. In the near future, I hope to also have some more posts covering the operations/infrastructure aspects of transit. Once again, I want to thank all my readers. I know the blog has done way too much shuffling around this year, so I appreciate everyone who has continued to follow along. Cheers! Wow… Has it really been more than two months since my last post? Time sure does fly. I apologize for the lack of posts recently. Sometimes life happens and you have to deal with it. Trust me when I say I’ve been dealing with quite the handful of things lately. Since my last post, my venue of residence (so to speak) has changed a “little” bit. In the next few weeks, I’ll be uploading some posts about my recent transit experiences in other cities, and also about transit in general in the new city that I’m slowly warming up to the fact that I’m living in. As always, you can catch me on Twitter by following @ziggzagzac. Thank you to everyone who has continued to follow my blog, and be sure that you don’t miss your bus!